Some recent political events, from the result of the Brexit referendum to the nomination of Donald Trump as the Republican candidate in the US election, have been described in terms of clashes between the views of two tribes of people, often described as experts or elites and those who trust them on one side, and ordinary people on the other. While one may argue for one side or another on these specific issues, or have a preference for the views of experts or ordinary people in general, reflexively taking sides on this basis is neither principled nor likely to lead to correct judgments. Personally, I have a Bachelor’s degree in physics and applied mathematics, a PhD in astrophysics, and an academic career in statistics. I know what it’s like to be an expert in a couple of small areas, and how easy it is to imagine myself as one in other areas. Many of my friends are smart academics, and usually fall on the expert side of the discourse. I understand their frustration and anger at, for example, anti-vaccination activists whose intellectually dishonest websites and anecdotal evidence are thought to outweigh the opinion of medical researchers in vaccine efficacy and safety. Similarly, my physics colleagues often receive unsolicited mail from people we might generously call amateur physicists, about how they have developed new theories of physics that are better than the mainstream ones. While we must leave the door ever-so-slightly ajar to this possibility, I am comfortable with the fact that most physicists don’t pay much attention to these ideas. These experiences make it easy to see why “trust experts” is a good rule of thumb in many cases. However, to elevate this to a sacred principle misses the full picture. There are versions of the anti-expert story that are not necessarily naive, contain a great deal of truth, and may not be obvious. First, let’s get the obvious out of the way. Clearly, being an expert in one field doesn’t guarantee expertise in another, a compelling example of this being Neil DeGrasse Tyson’s periodic naive tweets about biology or other non-physical sciences. It is wise not to expect perfection from public figures when they opine, and it is also wise to listen to biologists when they say he got something wrong. Humans around the world have knowledge about many things. Some of it is the kind one might write essays about, or learn about in graduate courses at university. This is often technical information about a specialty, like you might encounter in engineering, or grand high-level thinking, as one might encounter in philosophy or sociology. However, there is a much less exciting kind of knowledge that we also possess, though we don’t often think of it as knowledge. I know which particular foods are lacking in my fridge right now, and my wife is the only other person in the world who knows this. My aunt knows the route from her home to her workplace. My postman father knows where to direct his gaze in order to find the street numbers of businesses along a street. In his book Intellectuals and Society, American writer Thomas Sowell calls this “mundane knowledge” — the local, everyday facts that ordinary people know about their own circumstances, preferences, and the people and places most relevant to them. Obviously, the mundane knowledge of millions of people in a country adds up to quite a huge quantity of detailed and specific knowledge which no small group of experts could ever hope to learn. Sowell urges his readers not to underestimate the value and impact of mundane knowledge. For example, while an expert in light bulbs might know why compact fluorescents are more energy efficient than the older incandescent bulbs, they do not know the financial circumstances of everyone in the community. For someone who needs to make their last $50 stretch until the next payday, replacing all their light bulbs right now is probably the wrong decision. This is part of why free market oriented economists are skeptical of decisions made by experts on behalf of ordinary people; while experts know a lot more about certain topics, they don’t know about the specific needs and preferences of each individual or household, and good decision making hinges on this information a lot of the time. Another way experts can be wrong is if their field is disconnected from feedback mechanisms, so that an idea gains popularity because it resonates with experts for reasons other than empirical success. Clearly, the fact there are believing Christian theology experts, believing Islamic theology experts, and atheists who know all the arguments for their position, doesn’t mean we ought to “trust the experts” and become confused people who believe Jesus was the son of God, not the son of God, and that God doesn’t exist, all at the same time. You don’t have to go as abstract as theology to see this process in action. 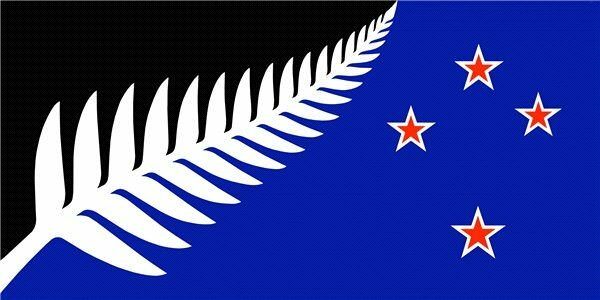 Recently, New Zealand had two referenda about whether to adopt a new flag (in the end, we kept the current flag). The first referendum had us choose the most popular of five designs for what the new flag might be. The winner of this referendum was widely panned in the press as being ugly and violating the principles of flag design. One wonders what the principles of flag design are based upon. If it were how to design flags that appeal to most people, then the referendum result suggests those principles aren’t particularly reliable. If the criteria are aimed at something else, then the fact the citizens preferred a “bad design” should neither be surprising, nor reason to express dismay at the general population for not trusting flag experts. We voted for the flag we liked, not to score marks in a flag-designing exam. Perhaps more controversially, if you want an explanation for why there are more men than women in physics, you might ask people with a strong interest in the topic, who are very intelligent and read a lot about it. Most would explain the discrepancy in terms of sexist attitudes and/or unconscious bias in the field, and the risk of sexual harassment when one is a young woman entering a field containing a lot of men (especially men who might be lonely and/or socially awkward, if these specific stereotypes have any truth). If you ask an ordinary person on the street, they might say “more men than women like physics because it’s technical and about inanimate objects, and women prefer other subjects.” Sexist attitudes and harassment exist, as do differences in preferences. Yet in this case the experts, by favouring a certain category of explanation, are missing a large part of the truth that the average person might regard as obvious. (And in case it’s not clear, this is perfectly compatible with being welcoming to female physicists and opposing sexual harassment). Climate change is another heated (pardon the pun) topic which often leads people to implore the populace to trust experts. We should indeed trust the experts on the basic facts of the area. As an outsider, the field appears to be following the procedures of science which are meant to (eventually) weed out incorrect ideas. One might worry about groupthink, or perhaps publication bias towards dire consequences as opposed to benign ones, but this is unlikely to cast doubt on the basic facts which have been known for decades. have uses for a while yet. This is compatible with there being good reasons to try to reduce our consumption of it. Australia’s carbon tax was also most likely good policy and should have been left in place. These three statements are consistent with each other, and can be found by trusting different categories of expert. However, many people favour one preferred kind of expert over another, saying, “Listen to climate scientists,” while ignoring inconvenient experts, such as coal power plant experts, who might point out that coal still is, in at least a couple of respects, better than renewable energy. Overall, I think we should have a balanced relationship with experts. We should listen to them, but we should also find out how (or whether) they know what they know, and whether mundane knowledge is relevant in the specific circumstance being discussed. We should do this with a variety of experts, rather than elevating experts in one subject area above another in order to justify whatever preconceptions we bring to the discussion. 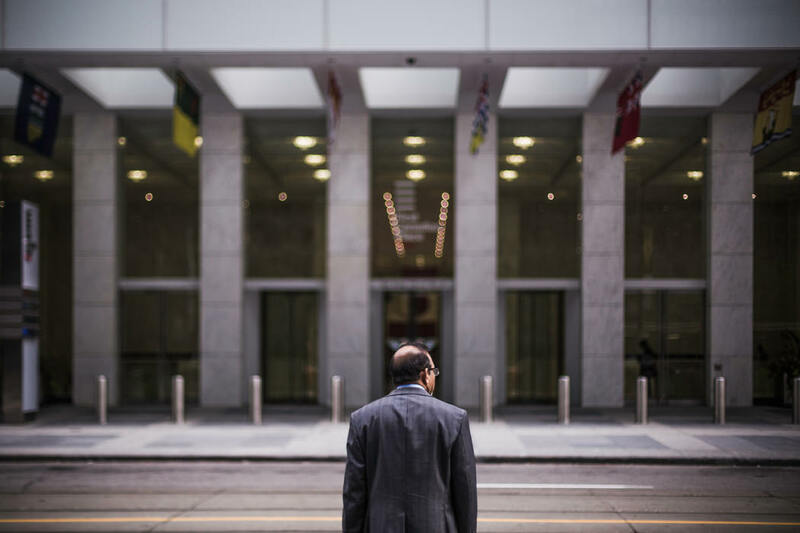 We can and should take advantage of the insights of our most intelligent and well-informed people, without ever needing to become their subordinates. Brendon Brewer is a senior lecturer in the Department of Statistics in Auckland. While you make some valid points about the shortcomings of narrow expertise, you apparently don’t look at the positives of the opposite extreme. Whole system thinking and system science can provide parameters about known reality on this planet. This includes inputs from off the planet, and is mandatory to prioritize planning and policy in my view. Two main points that obtain from that are the approximate 800% increase in human population in 8 generations, and the energetic and technological leverage that we’ve applied to the planet in that time. Tipping points of biodiversity decline, waste sink overload, potable and irrigation water decline, WMD proliferation, increased competition for prime living and farming lands, etc. place systemic thinking at the highest priority from an anthropocentric viewpoint. If one desires human crash as the path to improvement for all other species excepting human parasites and waste consumers, then let growth carry on by all means. What growth? The UN Population Survey has a Low Fertility/Growth version, and that’s the only one which has ever been close to accurate. It projects peak 8.5 bn. in the mid-2040s, declining thereafter. Anthony Giddens in “The Consequences of Modernity” (1990), following Luhmann, makes a distinction between trust and confidence. Trust not only refers to risk which is a transformed understanding of fortuna or fate/destiny, but to an awareness of the circumstances of risk. In the situation of trust, one is at risk of the unanticipated results of their decisions and activities. In the situation of trust, we consider alternatives. (You might consider leaping to Hume’s use of the term, overconfidence, in the Treatise and Enquiry with respect to skepticism.) On the other hand, in the situation of confidence, we take stability for granted – we do not consider alternatives. Giddens points out this distinction between trust and confidence, I think, because, he says, the person who engages in trust recognizes and tries to counter the risks. In the situation of confidence, a person reacts to disappointment by blaming others. In circumstances of trust, we recognizing our own responsibility and perhaps regret having placed trust in others, like experts. We also tend to discriminate between risk and danger because, Giddens says, the contingencies are humanly created, and not given by nature. (pp30-33). I hope that these distinctions can improve our understanding of the side-taking problems related to Global Warming and other human impacts due to our beliefs about social organization and reproduction. Continuing the trend of non-experts speaking out of turn, and touting nonsense, I am going to blame the Michelson-Morley Experiment for the current state of contempt towards the experts. Over the past 100 years the physicist has led the way for human expertise, and scientific prowess. Down deep, every other scientist aspires to be (or pretends to be) a physicist. And the Michelson Morley Experiment was an important step in establishing physicists the top of this hierarchy. Recall, the summer of 1887 where Michelson and Morley established the non-existence of a transmission medium (“aether wind”)…. We non-experts know scientific journals like Science (among so many others) are rife with shoddy, un-reproducible experiments constructed for the sole purpose of getting a publication credit. We know the Neil Degrasse Tyson and Bill Nye are button-pushing media whores as opposed to actual scientists. We know that “scientific” endeavors–like behavioral studies on primates–are simply grant-sucking expeditions. We’re disgusted by fraudulent Big-Pharma studies, that routinely trade health for profit. The experts are flatulent with the aether wind, and they don’t recognize the smell for what it is: Rotten Corruption. Bitfu, don’t forget to blame Richard-Freaking-Feynman, who famously said “Science is the belief in the ignorance of experts”. Another example is psychiatry and homosexuality. It took Frank Kameny, an astrophysicist from Harvard, challenging the institutional orthodoxy and its questionable scientific foundations for arriving at conclusions regarding homosexuality being a disease up for correction. It was in large part to his fervent campaigning as a gay activist after having his career in physics being ruined by dismissal from a government job which led the APA to reconsider its position. I think part of the dominance of experts is in part because much of the voting public, at least in countries having representative democracy, “has subcontracted out” expertise and understanding to an elect group, and then judges questions by judging the experts. That this process does not work well is unsurprising. Sure, everyone cannot be an expert, but there used to be an active engagement on the part of a voting public in learning basic things and trying to understand them. My evidence for that is in the steady decline of readership of documents, like books, which provide opportunities for such learning. There is also the failure to recognize, even, I’d say, at the university liberal arts levels, the significance of science and technology in the history of the last 1000 years, and the key role these play in policy of the United States, even if it is trending post-empire. I’m impressed that people in Massachusetts used to take the train and carriage to Woods Hole, MA in the late 19th century for Sunday afternoons to hear greats like Agassiz lecture on new discoveries from the deep sea. Sagan and deGrasse Tyson and Nye are a vestige of what the general public used to seek, well before the Sputnik era. This may be because of a lack of cultural patience, or because of communications technology, or just because System 1 thinking is so much easier than System 2 (Kahneman, https://www.youtube.com/watch?v=CjVQJdIrDJ0), or because (again Kahneman) because System 2 suffers “ego depletion” in this world. And I suspect this is not a new thing, and may be part of the arc of history of any representative democracy. One think that strikes me in Thucydides’ chronicle is the deterioration of rhetorical criticism on the part of the Athenian voting public. In today’s world, rhetoric is considered incredibly stuffy, and what pass as debates are laughable contrasts to Lincoln-Douglas. I may be stuffy myself, but I think everyone could do worse than slow down, read more, think a lot, and consider carefully. From Henry David Thoreau, “Nothing can be more useful to a man than a determination not to be hurried” (see https://www.walden.org/Library/Quotations/Time). The climate change argument is ill-chosen. 1900 did mot have access to mylar balloons, and CO2 in them does not cast a heat shadow. Its concentration follows warming of the seas, not precedes. All the world is greening with CO2 and temp. rise since the LIA’s end, and weather disasters and mortality have plummeted. Real greenhouse levels of 2,000 ppm or more would be massively beneficial. According to experts not on the take. I think Prof. Brewer quoting Thomas Sowell actually proves one of his points above regarding expertise; although Sowell is a professor, it would be laughable to call him an academic economist. He’s largely an ideologue with an axe to grind, and tends to get paid to sell books/go on conservative media and sell talking points. Recently, he has been in high demand to denounce the Black Lives Matter movement in the US, and has been trying to explain away various economic inequalities with the black community with conservative platitudes. There’s an analogous situation here with PhD’s being paid to shill for intelligent design, except Sowell largely gets paid to explain why the blacks have it coming. There were warnings that it was exceptionally dangerous for politicians who were pursuing dangerous agendas for ideological ends to wrap themselves in the flag of “expertise”, and now the chickens have come home to roost. That this was not discussed in the above essay makes me think Prof. Brewer doesn’t quite understand the phenomenon of Brexit and Trump.